The Association of Southeastern Biologists (ASB) Committee on Human Diversity is pleased to announce the inaugural offering of this prestigious scholarship named for long-time member, Past President, and John Herr Lifetime Achievement Awardee Dr. Lafayette Frederick. At this time, the award is intended to support one outstanding undergraduate student to attend the annual ASB meeting, receiving mentoring onsite from a faculty member in a discipline related to the interests of the student, and attending many networking opportunities such as the Plenary Social, the Diversity Luncheon, the Thursday Night Social, and the Friday Night Banquet. This scholarship ($1200) is intended to cover society membership and meeting registration (including the ticketed events mentioned above), as well as travel and lodging. Download the full announcement here, and contact Dr. Loretta Ovueraye or Dr. Alfredo Leon, Committee Co-Chairs, regarding submissions. Deadline for receipt of applications is 16 February 2018. If you would like to donate funds in support of this award so that we may be able to expand the number of students supported in future years, please contact me directly. The Department of Biology has four merit-based scholarships that it awards each year to continuing students majoring in Biology. 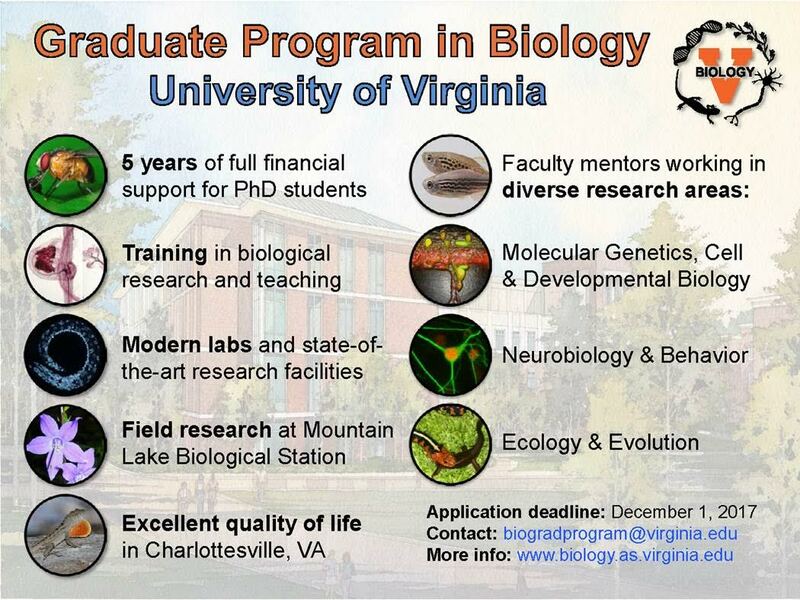 For more information and to apply, visit https://vcu.academicworks.com/ and search enter “Biology” as your search term. The deadline to apply for these scholarships is February 28th! The applications require that you submit a resume, a copy of your transcripts, and an essay. You MUST also have a faculty member write a letter of recommendation on your behalf. You should contact your potential recommender as soon as possible to give them adequate time to prepare your recommendation before the February 28th deadline. 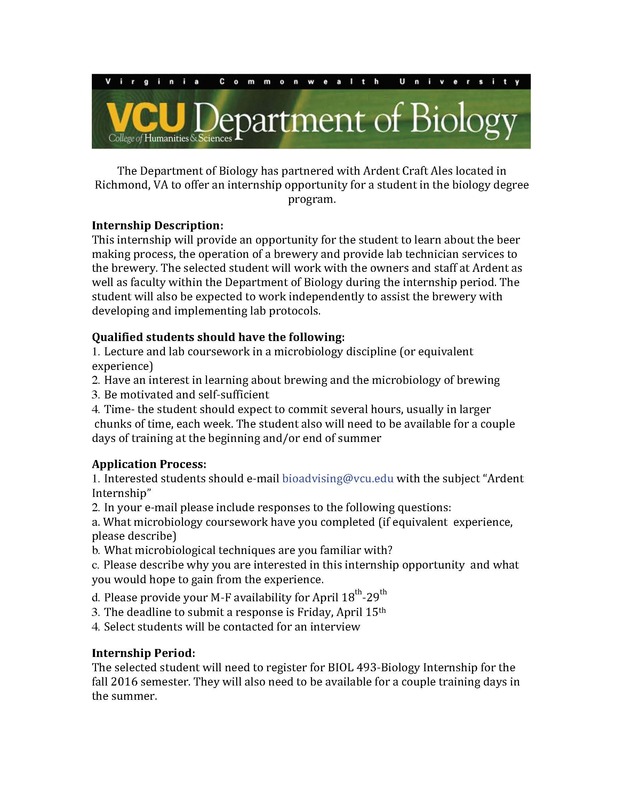 If you have any questions about the scholarships or the application requirements, please contact Dr. Joseph Battistelli (battistellij@vcu.edu) in the Department of Biology. If you have any questions about how to use the Academic Works system or difficulties with the application process, please contact Caitlin Hanbury (cshanbury@vcu.edu) in the Dean’s office of the College of Humanities and Sciences. Want to gain hands-on experience in research, but are not entirely sure on how to go about getting involved in research? Come hear Herb Hill, Director of the Undergraduate Research Opportunities Program (UROP) and Dr. Sarah Golding, Director of Undergraduate Research for Biology on best practices on gaining research experience her at VCU and beyond. All majors and all students are welcomed! Have you ever felt like an imposter? Like someone is going to find out you really don’t belong in science? You are not alone. Dr. Michael Southam-Gerow, VCU Psychology professor, is an expert on imposter syndrome. This is a well researched phenomenon where high-achieving individuals (like you!) suffer from an inability to internalize their accomplishments and a persistent fear of being exposed as “fraud”. Dr. Southam-Gerow is highly entertaining and will give you all some great tips on how to internalize how awesome you are! This workshop is geared toward doctoral students. If you are a doctoral student, you know a postdoctoral position is likely your next step following graduation, but do you know how to choose a post-doc that will help you accomplish your career goals? Do you know what you want from a post-doc, or how to find one? Through a panel discussion, learn from Dr. John Ryan, Associate Vice President for Research Development and head of the office of Postdoctoral Scholars at VCU, as well as a number of successful post-docs about what you need to do to pick the best post-doc for you. Have you ever applied for a job with the Federal Government with your college resume? Chances are, your application was booted out the system and rejected before it reached the desk of a hiring manager. Come hear from a spokesperson from the Office of Personnel Management, an agency of the U.S. government that manages the civil service of the government, on how a Federal Resume is different than your typical college resume and leave with resources and the knowledge on how to market yourself to be the best candidate for a federal job. Hosted by Office of Student Experience, Office of the Vice President for Health Sciences. With the technology boom in recent years, the Technical Interview is starting to become the norm in certain fields. Learn what a technical interview is, how it differs from your traditional interview, learn best practices on how to succeed and nail the interview, and network with a recent alum from VCU as they share their experiences with technical interviews and lead an interactive workshop. Dr. Joyce Lloyd and Dr. Michael Miles from the School of Medicine offer advice to predoctoral students interested in applying for F31 training grants, which intend to support students to develop into a productive, independent research scientists while conducting dissertation research. Dr. Miles has successfully mentored F31 recipients, and Dr. Lloyd serves to review F31 proposals. SHOULD I GO TO GRADUATE SCHOOL IN THE SCIENCES? Interested in graduate school, but don’t know what it is really like? Has your career path changed and you are now considering continuing your education? Come here from current VCU graduate students on tips and advice on how to prepare, what to expect, and how to excel and succeed in graduate school aimed for the sciences. All are welcomed! This workshop is geared toward graduate students and post-docs. Scientists speaking about their diverse career paths in industry, government, nonprofit and education. Opportunities to network with successful scientists and learn about non-academic career paths. Graduate students and postdoctoral scholars in the sciences should attend. Registration required. 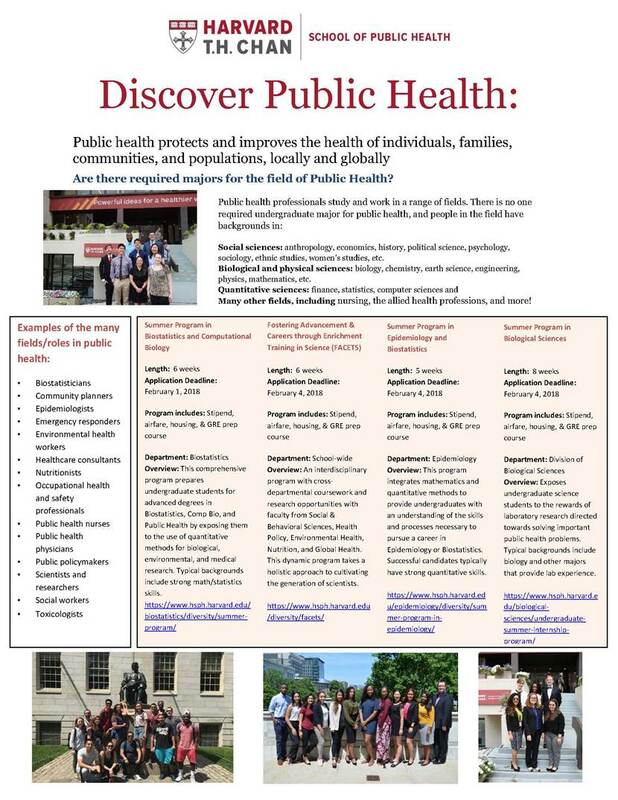 The CBI Program brings together 29 faculty from the Schools of Arts & Sciences, Engineering, Public Health and Medicine at Johns Hopkins University and provides a diverse selection of research projects for students. In order to assist them in choosing a research advisor, first year graduate students are supported by a NIH Chemical Biology Training Grant. During this time the CBI students participate in three 10-week research rotations that enable them to broaden their research skills and make informed choices of research advisors. Since its establishment in 2005, the CBI Program has received an enthusiastic response, and we have attracted an excellent group of students. Our program has grown to over 30 Ph.D. students. To date, ~10% of the students in our program are from groups that have traditionally been underrepresented in Chemistry and Biology, and we are very interested in increasing the number of students from these backgrounds. Hopkins is a very supportive institution, and Baltimore is a multi-cultural city. The University has a number of mechanisms to assist minority graduate students, including the Mentoring to Increase Diversity in Science (MInDS; http://pages.jh.edu/~cmdbminds/minds/index.php) organization. Please feel free to contact me if you or any students are interested in learning more about the Chemistry-Biology Interface Program at Hopkins. You may also browse the website that describes many facets of the program athttp://cbi.jhu.edu/. A pamphlet describing the CBI Program is available on our website. Thank you for your assistance. The Duke Graduate Program in Computational Biology and Bioinformatics (CBB) announces a summer research opportunity for undergraduate students from underrepresented groups who are interested in research in computational biology and bioinformatics. 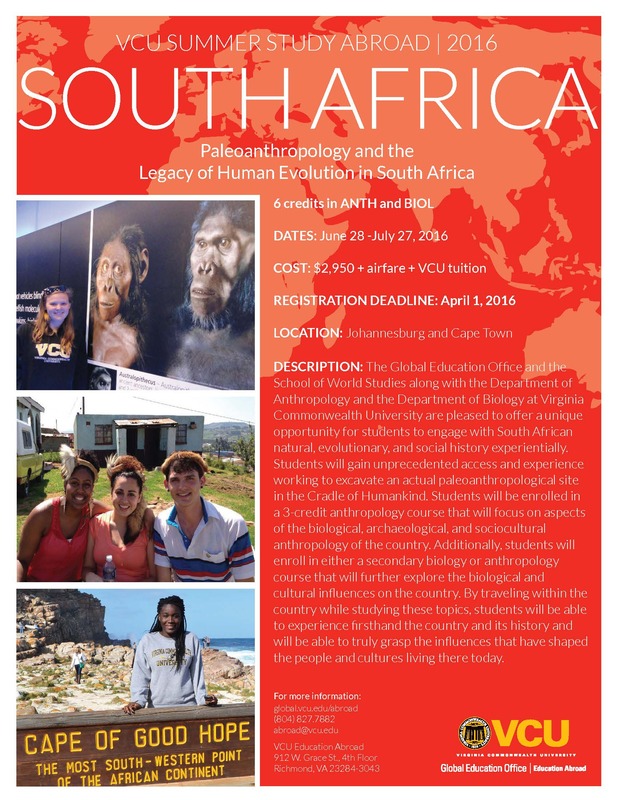 The program will sponsor two fellows during summer 2016. The CBB summer fellows program aims to increase student knowledge and research skills in the areas of computational biology and bioinformatics by providing the opportunity to engage in faculty-mentored research projects. The summer fellows program is particularly aimed at students who are considering pursuing a PhD in these areas. Research in the CBB program include a wide range of topics in computational biology and bioinformatics. For details, see the faculty web pages at https://genome.duke.edu/education/CBB/faculty. The CBB Summer Fellowship Program is open to current Sophomores and Juniors (classes of 2017 and 2018) who have successfully completed (or are enrolled in) at least one computer science course and at least on biological sciences course. The Summer Fellowship Program requires full-time participation, and students selected for the program will not be able to take courses or engage in other employment during the 10-week program. In addition to research, fellows will participate in the activities of an umbrella summer program administered by the Duke Center for Genomics and Computational Biology (GCB). Housing will be provided to students accepted into this program in Duke University residence facilities for the duration of the program. In addition to housing, students will receive a stipend of $4,750. 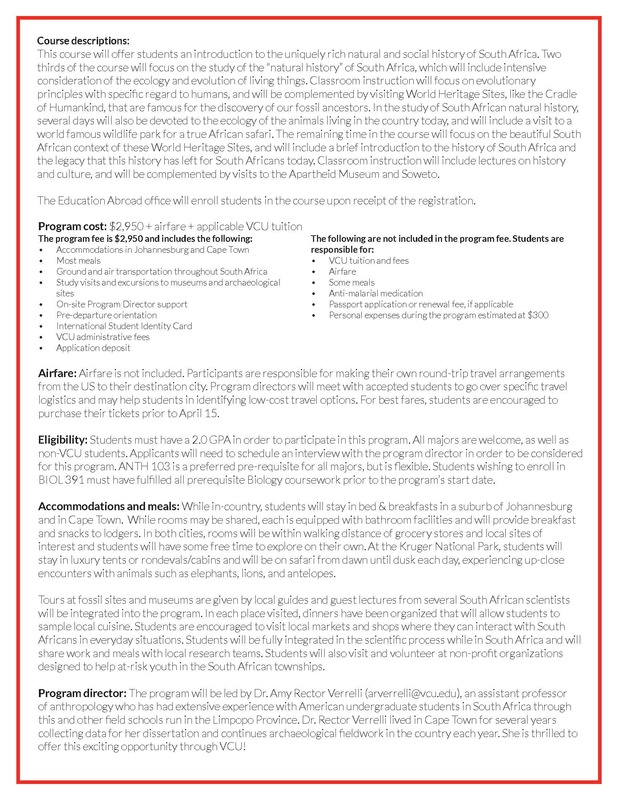 To apply, please see the instructions in the attached application form. Applications, letters of recommendation, and any questions should be directed to the Program Contact below.